Honolulu, Territory of Hawaii. $5 1882 Date Back. Fr. 537. The First NB. Charter #5550. 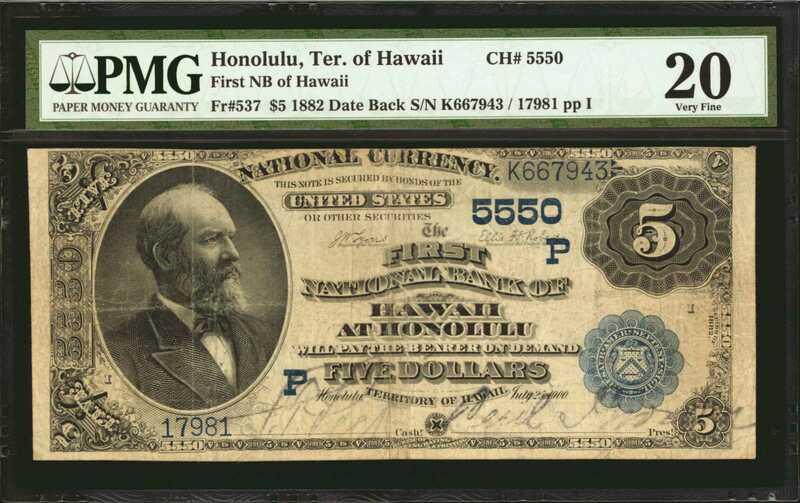 PMG Very Fine 20.These 1882 Honolulu notes represent one of the most "available" territorial notes for collectors. This attractive mid-grade offering shows with problem free paper for the assigned grade and would make a nice addition to any collection. Quite scarce any finer.